Financial Services Insurance provides extensive insurance coverage and plans to protect your home. We work with you to make sure that the insurance policy you choose has the coverage that you are looking for at the price you can afford. 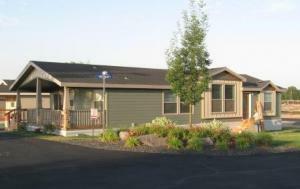 Insuring mobile homes has been at the heart of our insurance business for more than 45 years. We provide comprehensive coverage specially designed for single-family homes – owner, rental, and seasonal occupancy. 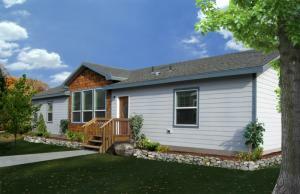 Our program accepts homes that are factory-built – a single-wide, double-wide, triple-wide, or 2-story modular. Financial Services Insurance is ready, willing, and able to make you a satisfied customer. Call us today at 855-504-2273 to find out what true customer service is all about! If a comprehensive package of protection is more than you need, we can mix and match coverage. If you only want physical damage coverage to the structure, but not for your personal property, we can do that. We can also exclude liability. Your agent will work with you to be sure that the coverage mix you select truly meets your needs, and that you understand what coverage is excluded from your policy. The rental program accepts residential and commercial-use units. Our seasonal program covers mobile homes that are used just part of the year. 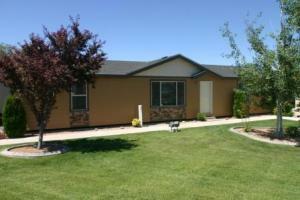 A vacant mobile home can be insured through our DP-1 Vacant program. Q: Why is Financial Services Insurance the best choice for insurance? A: As an independent insurance agency we do not work for the insurance carriers, we work for you, the customer. We all take insurance for granted, but when it comes time to make a claim, we want to be covered. Insurance can be confusing, but it does not have to be that way. We are always here to explain your coverage and to find a policy to suit your exact needs. We take the time to make sure you are covered with a policy that not only fits your exacting requirements, but your pocket books as well. We do business with many different insurance carriers so we can find the best insurance for you, at a price more competitive than any non-independent insurance agency! Give us a try and you can have a friend in the insurance industry! Go Paperless! Get 24/7 access to your policy in our Customer Service Center.